Hey, it’s not a 29er! The 4th generation Santa Cruz Nomad may not sport 29 inch wheels but pretty much everything else has changed on this boutique bruiser. With the release of any new Santa Cruz comes a wave of speculation and hype that seems to get every bike geek on the planet hot under the collar. This fourth generation 2017 Nomad is no exception, to the point where we would have put money on it being a 29er. More fool us, however, as Santa Cruz is sticking with 27.5in, leaving potential for a longer travel Hightower (as seen being ridden by Josh Bryceland at last weekend’s EWS Ireland) to fill that particular gap in the range. Back to the current star of the show, though, and there are a raft of updates to this benchmark enduro bike that take it to the next level. What’s new on the Santa Cruz Nomad? The increase in travel and the need to engineer a full range of sizes, with adequate tyre clearance and an acceptable chainstay length, meant that transferring the Nomad platform, wholesale, across to big wheels was not an option. It could have split the range according to frame size, but Santa Cruz decided this would just muddy the waters and confuse the line-up. Big wheel fans might be disappointed – although it looks like Santa Cruz has something up its sleeve to keep you guys and girls happy – but the new Nomad gets room for larger volume 2.5in and 2.6in tyres, so if you prefer a big footprint, you’re in luck. For the last few years, Santa Cruz engineers have been trying to iron out the quirks of its signature VPP suspension system. Specifically with the aim of improving the initial sensitivity and adding support to the mid-stroke while retaining its excellent pedalling efficiency. It did this with the V3 Nomad to a certain degree, but to make big gains, a drastic reconfiguration was needed. Hence the V4 bike adopts the layout used by the V10 downhill bike, whereby the shock is actuated by the lower link. To achieve this, Santa Cruz needed to move to an interrupted seat tube front triangle, with a large enough orifice to swallow a coil shock. There’s also a single-sided swingarm to replace the old twin-spar design, which helps create room around the congested bottom bracket/seat tube/chainring/rear tyre area – a place where space is at even more of a premium than Mayfair. The upshot is a far more consistent shock rate, with more grip at the beginning, more support in the middle and enough progression at the end of the stroke to let you run a coil. And the kinematics are further boosted by bolting on a shock with a bearing in the rear eyelet – the one with the most rotation – on the top end XX1 spec models. I’ll come back to how it rides in a minute, but in short, it’s a dramatic change for the better. Double, double, toil and trouble, what’s this wicked green thing? This, my pretty, is the Strega, Juliana’s ‘women-specific’ take on the Nomad. And it’s no broomstick. As with most Juliana models, it’s mostly paint that separates it from the Santa Cruz equivalent, although there are also different contact points and no XL frame size. Santa Cruz has also specced lighter shock tunes, designed to work better with lighter riders, and there’s no coil chock option. To mirror the general industry trend, reach numbers have grown on all sizes by a decent amount. Now the XL is 30mm longer, the large is 22mm, medium 25mm, and so on. Stack measurements remain relatively static, too, so you really feel that extra length. The head angle remains unchanged, but a flip chip in the lower shock mount lets you slacken it a touch to 64.6º and drop the BB height 5mm to 344mm. Hang on, no Enve wheels? Well spotted. Santa Cruz has been busy developing its own range of carbon wheels, with the idea of bringing down the cost of this highly desirable upgrade. Dubbed Reserve, upgrading to the new wheels will now cost around £1,200, compared to £1,800 for Enve. Cross-section of the new Reserve rim. Photo by Gary Perkin. The range consists of three rims of varying widths. Internally these are 25mm, 27mm and 30mm, as fitted to the Nomad and Strega. All are asymmetric, with the spoke holes on the widest option being drilled 5mm off centre for a more even tension across the wheel. This 30mm rim weighs around 475g and is only available in 28 spoke drilling. Other key points are a thicker sidewall, rounded edge radii, reinforced spoke holes and a lower profile (25mm vs 31mm for Enve) to help compliance. They were actually used by Danny MacAskill in ‘A Wee Day Out’, and apparently he didn’t break a single rim during filming. Which, if true, is pretty impressive. Banging out another shuttle run in Molini. Photo: Sven Martin. Come on then, how does it ride? Like a dream… a very expensive dream. It’s been a while since I’ve ridden the old Nomad, but the improvements to the suspension were immediately noticeable. Particularly, there’s a great supple response to the minutiae of trail detritus that was lacking on the v3 model. With flat pedals installed, I didn’t have to work as hard to keep my feet attached to the bike, which helped conserve energy. There is more grip to play with in the corners and yet the new Nomad pops with greater enthusiasm than its predecessor when you need to loft it over a trail obstacle. I had more confidence too; a benefit of the longer reach. 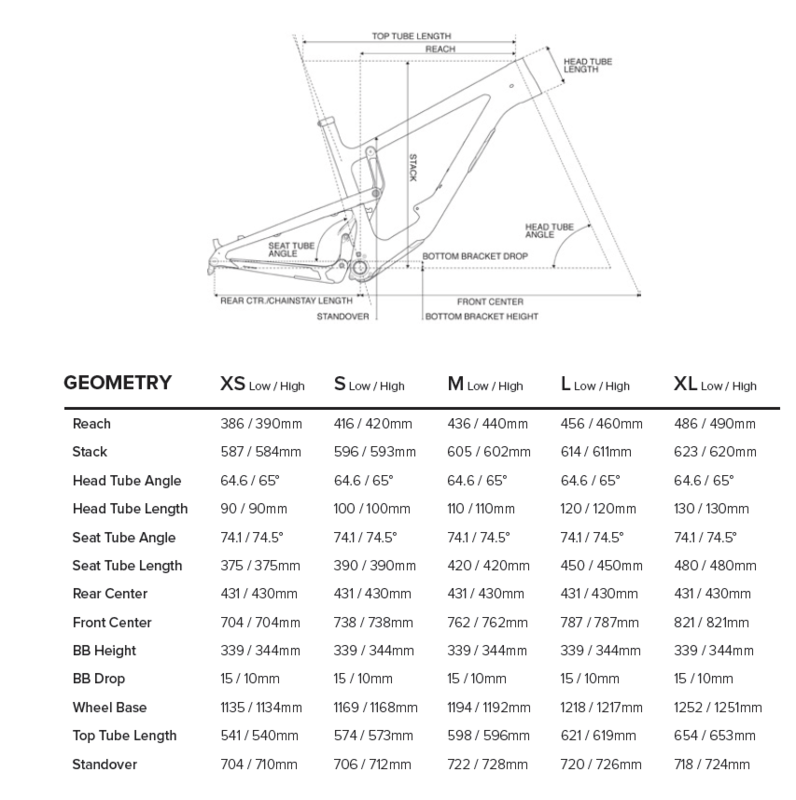 Stock stem length on the large is a 45mm, so I’d consider dropping to a 40mm or 35mm as there’s plenty of room in the new frame if you’re around 5ft 10in. And this is not just a mini-DH bike. The Nomad is ridiculously efficient on the climbs too, thanks to that VPP suspension, steep seat angle, and impressive all up bike weight of 12.7kg (size large with coil shock and DMR pedals fitted). That low mass makes it addictively playful in the turns and you can place it on the trail with pin-point accuracy. Over three days, we clocked up two countries, around 100km and 10,000m of descending without a single issue. Photo Sven Martin. With an air shock fitted, it’s a great all-rounder, but bolt on the optional RockShox Super Deluxe RCT coil and the bar is raised even higher. Grip goes through the roof, and there’s a boost of energy delivered straight into its veins that makes it feel like you’ve just unleashed the beast. It turned me into a complete hooligan, and I couldn’t help but drift every turn, pop out of every compression and treat every trail feature as a chance to get wild. The first two days on air left me convinced that this would be my first choice if I was buying a new Nomad. But two turns with the coil shock bolted on was enough to blow that assumption out of the water. Here you go… Not cheap, by any stretch of the imagination, but better value, it has to be said, than some other boutique brands.